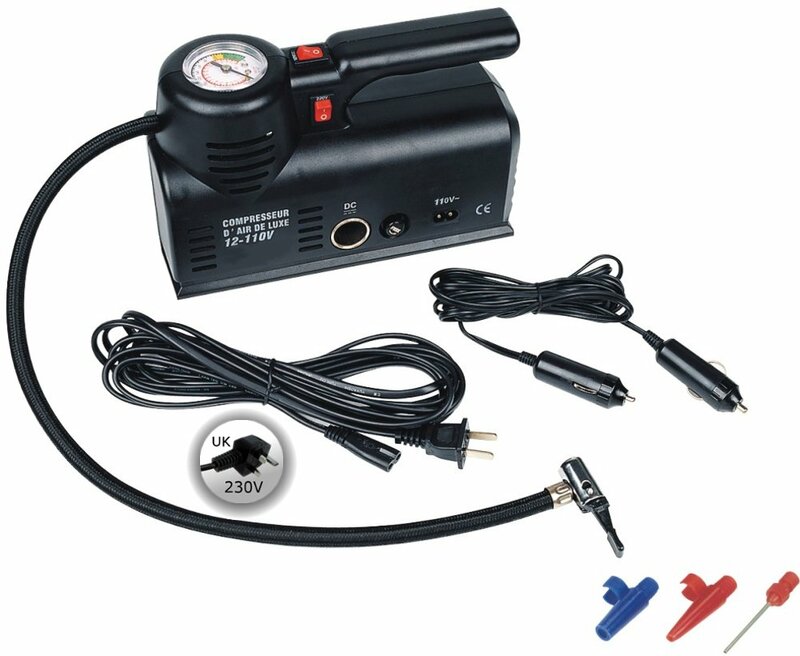 I have been searching for portable air compressor so that I don’t need to go to gas station to inflate tires. I chose this one because it allows you power up the device from the wall outlet instead of rely solely on the cigarettes lighter socket on a car. Worry about car battery running out juice for, I figure it is better to have alternative source of power to turn this on. It works but not for long, and it stops working When I get to the third tire. It is way too loud, louder than what I have expected. Sorry but this is going back.